Tumut or is a town in the Riverina region of New South Wales, Australia, situated on the banks of the Tumut River.Tumut sits on the north-west foothills of the Snowy Mountains and is referred to as the gateway to the Snowy Mountains Scheme. Kick off your visit on the 7th (Fri): revel in the low prices at Tumut Broom Factory and then sample the tasty concoctions at Tumut River Brewing Co. Get ready for a full day of sightseeing on the next day: admire the sheer force of Adelong Falls, contemplate the waterfront views at Tumut River, and then see human ingenuity at work at Blowering Dam. To find more things to do, other places to visit, maps, and more tourist information, you can read our Tumut trip itinerary maker tool . Sydney to Tumut is an approximately 5-hour flight. You can also drive. Prepare for a bit cooler weather when traveling from Sydney in June: high temperatures in Tumut hover around 16°C and lows are around 3°C. Finish your sightseeing early on the 8th (Sat) so you can travel to Tumbarumba. Tumbarumba is a small town in New South Wales, Australia, about 480km southwest of the state capital, Sydney. Kick off your visit on the 9th (Sun): take an in-depth tour of Tumbarumba Visitor Information Centre, then examine the collection at Pioneer Women’s Hut, then do a tasting at Courabyra Wines, and finally ride a horse along Mountain Ash Trails. For other places to visit, traveler tips, where to stay, and more tourist information, read our Tumbarumba trip planner . Getting from Tumut to Tumbarumba by car takes about an hour. In June, daytime highs in Tumbarumba are 16°C, while nighttime lows are 3°C. Wrap up your sightseeing on the 9th (Sun) to allow time to travel to Thredbo Village. Get in touch with nature at Perisher Blue Ski Resort and Thredbo Alpine Village. 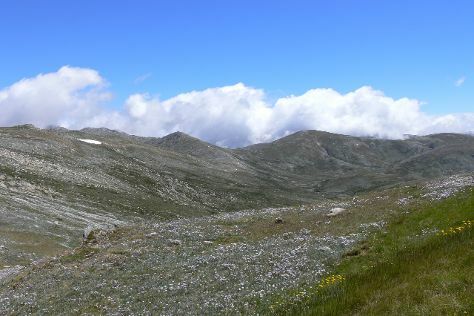 Venture out of the city with trips to Jindabyne (Lake Jindabyne & Monster Ski Hire) and Perisher (in Perisher Valley). You can plan Thredbo Village trip in no time by asking Inspirock to help create your itinerary. Traveling by car from Tumbarumba to Thredbo Village takes 2.5 hours. Traveling from Tumbarumba in June, things will get slightly colder in Thredbo Village: highs are around 11°C and lows about -1°C. Finish up your sightseeing early on the 12th (Wed) so you can travel to Cooma. Cooma is a town in the south of New South Wales, Australia. Kick off your visit on the 13th (Thu): stroll through Selwyn Snowfields. Here are some ideas for day two: learn about winemaking at Snowy Vineyard and Microbrewery, do a tasting at Shut the Gate Wines, see the interesting displays at Corrective Services NSW Museum, then brush up on your knowledge of spirits at Catcher & Co Distillery, and finally don't miss a visit to Nanny Goat Hill Lookout. To find ratings, more things to do, and other tourist information, read Cooma trip builder tool . Drive from Thredbo Village to Cooma in 1.5 hours. Traveling from Thredbo Village in June, Cooma is a bit warmer at night with lows of 4°C. Finish your sightseeing early on the 14th (Fri) so you can travel back home.